Hailing from Moscow, Russia, DJ Aleatha was exposed to electronic music at an early age through pioneers such as Juno Reactor, Prodigy, Moby, Chemical Brothers and Crystal Method. After moving to Canada in 2004, her first experiences with raves and electronic music events proved to be the catalyst that kindled this interest in dance music into a full-fledged passion. In 2011 she picked up the decks for the first time and never looked back – shortly after, beginning to play her first shows at well-known local venues such as Sal's and Quincy's. 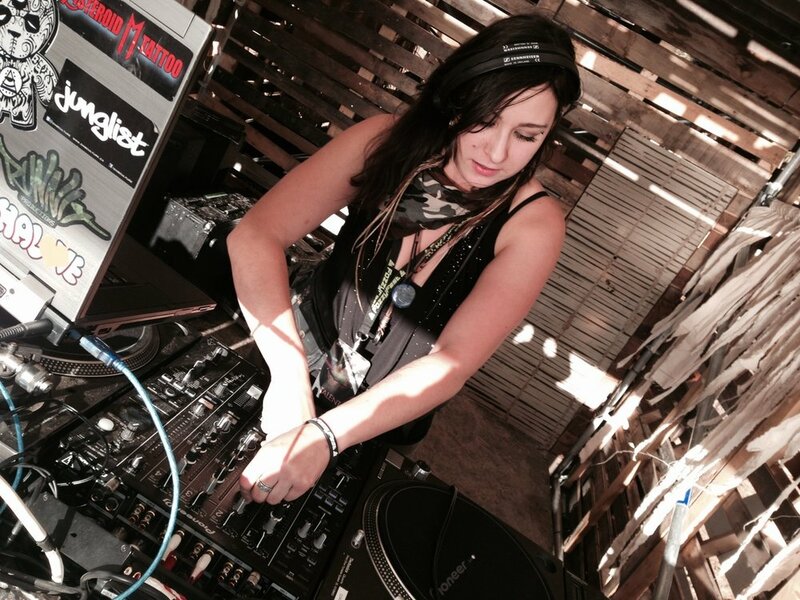 Initially spinning House, Electro and Dark Progressive Psytrance, her sonic pallet has since expanded to spotlight Drum and Bass in the majority of her sets, with a focus on rolling, liquid, and sub-heavy beats. Rededicating her focus to music in 2015, she began a weekly radio show on DB9 Radio to showcase her favorite selections and has become a valued addition to the roster. In 2018 she joined local Calgary music crew Runnit Productions, and has become an integral member and proud promoter of the team. With 2019 on the horizon, look for her to be serving up her signature blend of moody, drum-heavy riddims at a dance floor, festival, or house party near you!